We’d love your help. Let us know what’s wrong with this preview of Pilgrim's Inn by Elizabeth Goudge. To ask other readers questions about Pilgrim's Inn, please sign up. was this called the herb of grace? Lancia Yes, Herb of Grace is the British title for this book. The year is 1947 or thereabouts. Britain has won the war, but at such a cost. Many men return from the war with physical and mental scars, trying to 'get on with their lives' but finding that the old roles no longer fit, that the world is still filled with the horrors of the camps, the refugees, the terrible new weapons, unspeakable things. The women, too, have borne burdens--waiting for news of sons and grandsons, fearing and sometimes hearing the worst, or trying to piece together marriages an The year is 1947 or thereabouts. Britain has won the war, but at such a cost. Many men return from the war with physical and mental scars, trying to 'get on with their lives' but finding that the old roles no longer fit, that the world is still filled with the horrors of the camps, the refugees, the terrible new weapons, unspeakable things. The women, too, have borne burdens--waiting for news of sons and grandsons, fearing and sometimes hearing the worst, or trying to piece together marriages and menfolk torn in the aftermath. Ration books and food shortages are still the norm. In London, and even in the countryside, there are hardly any people who are free of dark memories. David Eliot is one of the survivors--once an actor, then a bomber pilot, now trying to rebuild a shattered career that seems pointless. His uncle, General George Eliot struggles at his desk job with the military and with a lonely marriage to a woman he loves desperately, but who has never loved him back. Nadine Eliot, George's wife, is tired, so very tired, worn out by her five children, her loveless marriage, still holding onto the memory of the brief, unconsummated passion she and David shared for each other. There are a few whose souls remain whole. One is Sally Adair, daughter of a famous portrait artist. Sally spent the war years caring for sheep. Her innocence is like sunlight that filters gently, new-born each day, through the dense canopy of a centuries old beech wood. Then there are George and Nadine's children; each one, from the oldest teenage boys to the irrepressible five year old twins, is drawn as a completely believable individual, living in the now yet filled with promise. And at the center is the indomitable, autocratic, yet deeply loving Eliot matriarch, Lady Lucilla Eliot. Lucilla senses all the cross-currents, the private suffering of her children and grandchildren. It is Lucilla, now in her eighties, who draws together the innocent and the guilt-ridden, the whole and the wounded; maneuvering George, Nadine and their brood into abandoning their London life for a new start in an impossibly ancient pre-Tudor Pilgrim's Inn that becomes a source of unexpected healing and glorious discoveries. Elizabeth Goudge writes like a dream. Her descriptions of the English countryside made me long to relocate--except that this world no longer exists. I am grateful that she captured the place and time so perfectly for us. Goudge is also gifted with the ability to shift effortlessly between multiple points of view, letting us empathize with complex characters, each flawed yet somehow special. And no one,simply no one, knows how to get inside the heads of children and teenagers of that era better than Elizabeth Goudge--especially when they are messing about in boats and playing Rat and Mole in The Wind in the Willows. This is a book about healing, a book suffused with light and joy. And if my friends will forgive the chutzpah of a Jew recommending a Christmas present, I'll say that this has the most perfect and moving Christmas-story ending since Charles Dickens. This was my second time reading this and oh my! What richness! The second of the Eliot Chronicles is about ‘The Herb of Grace’ - an ancient Pilgrim’s Inn which becomes the home of Nadine and George Eliot and their five children. In the first third of the book, it feels like this will be Nadine’s story: after the bitter loss of her great love, making this home will be the making of her family (and by extension, herself). But really this story is too well-populated and diffuse to be primarily about any one person. In addition to the Eliot family, with its various branches, other important characters are introduced: the artist John Adair and his daughter Sally, and the mysterious ‘troubadours’ Malony and Annie-Laurie, who arrive by houseboat and come to stay for a while at the inn. The inn’s past - as a gathering place for pilgrims; as a shelter for wounded bodies and spirits, both human and animal - is revealed through a combination of seeking and the happy accident of curiosity. The twins, youngest of Nadine and George’s children and strangely feral, discover both the hidden centre of the wood and the hidden centre of the house - and both places form a focal point for creative and emotional healing for various of the story’s characters. Many of the characters in this story are haunted by the past and cannot quite let go from their buried shame and pain. Additionally, the book is set just at the end of World War II, and there is that sense of desolation and world-weariness. ‘The herb of grace’ is rue: astringent, symbolising repentance, representing the single mindedness of the pilgrim. ”Everything gathered in for the giving of yourself. the whole of you. Nothing kept back.” It’s compassion for each other that allows the sufferers in this book to accept the blessings of the inn. Just re-read this old childhood favorite after a pause of some 25 years. When I first read it, I loved the characters, their developing relationships, and the house, the Herb of Grace Inn. I loved the plot--buying an idyllic home in an idyllic setting and being healed by it. The successful retreat from conflict--the massive and terrible conflict of WWII. I loved the allusions to The Wind in the Willows, and especially the depiction of the Christmas season. I also loved the moral orientation: the Just re-read this old childhood favorite after a pause of some 25 years. When I first read it, I loved the characters, their developing relationships, and the house, the Herb of Grace Inn. I loved the plot--buying an idyllic home in an idyllic setting and being healed by it. The successful retreat from conflict--the massive and terrible conflict of WWII. I loved the allusions to The Wind in the Willows, and especially the depiction of the Christmas season. I also loved the moral orientation: the celebration of renunciation in favor of duty--the pleasure of astringency and rue--that yet results in a tempered sort of joy. Now, from a completely different life perspective, the matriarch Lucilla really grated on me. Her beauty and class privilege are used to justify the preposterous and hubristic way she cajoles, cheats, and cozens her hapless daughter-in-law into agreeing to move to the country, run an inn, and completely change her lifestyle "for her own good," which is conflated with that of her family's. And the daughter-in-law ultimately agrees. Lucilla tyrannizes her homely single children, and they just accept it; and in her maintenance of Victorian manners and customs she never recognizes all the labor people do on her behalf. And her "love" justifies all of it. Feels like Stockholm Syndrome to me. And I'm less convinced by Goudge's dialogue and depiction of relationships, especially the stylistic tic of narrating free indirect discourse through one character, but then finishing those thoughts with a spoken response from another character. This seems like cheating, or at the very least the work of someone who's never had to deal with people of radically different perspectives. Extraordinary fiction. If you haven't read Goudge yet, you need to start with this trilogy. No fluffy romance here. Real people with real problems and no simple solutions. Yet the outcome is satisfying. I both loved and partially disliked (I'm the kind of reader who wants ONE character to get behind and root for - several? WHO AM I SUPPOSED TO CHEER FOR? ALL OF THEM?! [Yes.]) the way the characters were all so very human. They all had flaws and it was both delicious and frustrating to read. I think that the cover of the version I borrowed from my sister (thanks, sister!) does the story an injustice. It made me think the entire tale was about this bloke named David, who was probably American. And I have to admit ... I didn't like David very much. Nadine? Yep. I didn't like her at first, but then I came to like her imperfect imperfections(?) The whole (view spoiler)[INSTALURVE (hide spoiler)] thing with Sally was a bit ... well, I didn't connect to that bit of the story. But the family dynamic? Their flaws? Their strengths? THE TWINS?!! The Uncle Who's Name Begins With H? I loved it. I loved them. It really touched a chord within me. The writing was beautiful and I wish - I wish - I'd spent more time savouring it all. But, oh well. These are the downsides to gulp reading. I don't usually pick up this kind of book but ... in the future, I will be tempted to do so again. What I didn't so much enjoy - no, that's not quite the word I'd use - click with perhaps? Was Ms. Goudge's way of writing characters expressing affection. And the use of the word 'love'. I think that this is perhaps she was writing in ... 1948? I think the book was first published? And so the world was different then. This is the second book in the series Elizabeth Goudge wrote on 'the Eliots of Damerosehay'[22 points to anyone who can come up with a definitive pronunciation of 'Damerosehay.'] I read it first based on a friend's recommendation that it was his favorite book by Ms. Goudge; also upon the the fact that her books are pretty scarce to find and yet, this one happened to be sitting on the shelf of a second hand bookshop in Dallas. I am egotistical enough to believe that it was placed there specifical This is the second book in the series Elizabeth Goudge wrote on 'the Eliots of Damerosehay'[22 points to anyone who can come up with a definitive pronunciation of 'Damerosehay.'] I read it first based on a friend's recommendation that it was his favorite book by Ms. Goudge; also upon the the fact that her books are pretty scarce to find and yet, this one happened to be sitting on the shelf of a second hand bookshop in Dallas. I am egotistical enough to believe that it was placed there specifically for me to find. But, that's more than enough about me. On to the book. One of the great joys of reading Elizabeth Goudge is her exploration of the deep seated emotions and the response to those emotions of her characters. She is so insightful into their feelings and ultimately into our own. In 'Pilgrim's Inn' we have a family trying to rebuild a sense of unity after the ravages of not only World War II, but more personal wars as well. The source they turn to for this healing is moving out to the country to live in what was built centuries ago to be an inn run by the clergy. As in her book, "The Castle on the Hill," Ms. Goudge chooses the architectural centerpiece of her story with care, for the healing that needs to happen for this family is a spiritual healing. Ms. Goudge provides for them several spirit guides along the path to this healing including, a domineering matriarch, an obsessive, but insightful painter, and a gentle cleric in whom "there is no beauty that we should desire him" yet therein is harbored a quiet wisdom beyond measure. At the core of this novel is the trouble David Eliot has in guiding his war-torn soul in choosing between the love of two women. He finds much of his solution in the process of unearthing a lost treasure at the inn. What a lovely story! Goudge's writing is very beautiful and charming. It has such as soothing, comforting quality to it that is reminiscent of L.M. Montgomery in a way, but less whimsical and with more depth of feeling. Glad to revisit the Eliot family and loved the new setting of the "Pilgrim's Inn: Herb of Grace" which is just as romantic and dreamy as Dameroshay. The addition of Sally and her artist father was interesting, as was Malony and Annie Laurie the two "care takers" with a troubled p What a lovely story! Goudge's writing is very beautiful and charming. It has such as soothing, comforting quality to it that is reminiscent of L.M. Montgomery in a way, but less whimsical and with more depth of feeling. Glad to revisit the Eliot family and loved the new setting of the "Pilgrim's Inn: Herb of Grace" which is just as romantic and dreamy as Dameroshay. The addition of Sally and her artist father was interesting, as was Malony and Annie Laurie the two "care takers" with a troubled past. I will admit, that my least favorite part of the book are the characters themselves. None of them are particulary likeable or endearing, which is why I still love L.M. Montgomery so much more and can't give this book a solid five, despite the writing. The main characters are all especially annoying and self absorbed, especially Lucilla, David and Nadine. It's not that I don't like them per se, it's just that their constant internal monologues tend to bore me after awhile and I tend to become indifferent to them. Even the children can get on my nerves sometimes, such as Tommy and the twins who are so selfish. Honestly, my favorite characters are the secondary ones like Uncle Steven, Margaret, George and Jill. The scene with George and daughter Caroline at the train station was probably one of the sweetest in the whole book. The second installment of the Eliot Family Trilogy was just as entertaining as the first book, A Bird in the Tree. This one was quite magical in the setting of Herb of Grace house and the mysterious wood it borders. Elizabeth Goudge is a masterful weaver of story, setting, and character relationships. A richly beautiful, deep, freeing, redemptive and quietly impacting book! It was a timely read for me. Loved it! This is a lovely, gentle story set in southern England in the years following WWII. The main characters are an extended family of three generations having a kind but controlling matriarch, Lucilla. She sees that some of the middle generation are going through various crises and tries to engineer things so that, from her point of view, all these problems will be remedied. She knows that a local inn is to be sold and believes that by getting her son, daughter-in-law and their five children out of This is a lovely, gentle story set in southern England in the years following WWII. The main characters are an extended family of three generations having a kind but controlling matriarch, Lucilla. She sees that some of the middle generation are going through various crises and tries to engineer things so that, from her point of view, all these problems will be remedied. She knows that a local inn is to be sold and believes that by getting her son, daughter-in-law and their five children out of London and into the country some of these difficulties will be solved. Lucilla's son George, a Major, has had several long postings out of England and during this time his wife had an affair with Lucilla's adult grandson, David, a Shakespearean actor. Lucilla, has not been deceived by this clandestine affair and persuades the daughter-in-law, Nadine, to call it off although Nadine still has very strong feelings for David, which shows on her face whenever they are together. David has had a nervous breakdown which is exacerbated by the fact that although Nadine is no longer seeing him, she still exerts some sort of claim on him. George realizes that something is wrong but never guesses what it is. He only knows that Nadine is less than loving toward him. 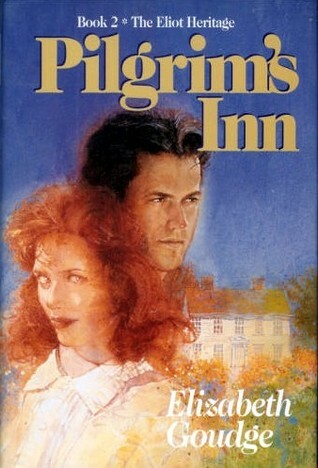 By manipulating these various players in the drama, Lucilla manages to get George to take his children to see the inn, The Herb of Grace, which is very close to her own home, without Nadine's knowledge and they fall in love with the old inn itself as well as the location which includes a lovely 'enchanted' wood on the property. The name, The Herb of Grace, refers to rue, a bitter herb which supposedly equates to humans needing to feel truly sorry for their transgressions before they can gain peace in their lives. George later manages to persuade Nadine to agree to sell their London home and they all move in to the The Herb of Grace. The inn has a calming effect on the family and each of the children as well as Nadine find a different portion of the wood which help in healing their angst. The old inn has been a pilgrim's hostel in early years and to some extent they all feel that a spirit of sanctity remains within it. The enchantment is presented in such a natural way that one doesn't feel like scoffing at it. Rather, I felt that in each of these passages it can all be accepted as the characters' interpretation of their own feelings and reactions to the house and to the wood. This is another book I read over and over. Along with "The Bird in the Tree" and "The Heart of the Family" this book tells the story of the Eliot family of England, and their homes they make, that in turn, make them through the generations. If nothing else, read the description of Meg Eliot and her dog ,Mouse, as they squelch their way down the driveway in the opening paragraphs of "The heart of the family." If you can't see, hear and smell that delightful scene, I'll eat my hat! Goudge is a ma This is another book I read over and over. Along with "The Bird in the Tree" and "The Heart of the Family" this book tells the story of the Eliot family of England, and their homes they make, that in turn, make them through the generations. If nothing else, read the description of Meg Eliot and her dog ,Mouse, as they squelch their way down the driveway in the opening paragraphs of "The heart of the family." If you can't see, hear and smell that delightful scene, I'll eat my hat! Goudge is a master at the little things in life, and it seems that, though unmarried, she had a great love and phenomenal powers of observation of life's dearest creatures, little children. Also dogs, cats and many adults, especially in unguarded moments that often show us most clearly who we are. Add to that a heart without prejudice, and a gift for description and you have a great read. Also recommended is her "Island Magic", and my personal all-time best book ever, "Gentian Hill." J.K. Rowling's favorite book is a Goudge, "The Little White Horse" which I read in about 4 hours as a kid and then demanded every Goudge book in the house. Fortunately, my mother is a Goudge fan too and was happy to oblige. Some of her books may be a little hard to find, but amazon.com keeps e-mailing me when another one comes available, so there is hope. Luscious Elizabeth Goudge writing from the middle of the last century. It is like a cold drink of water after hours of bicycling in 90 plus degree heat- or after trudging up a desert trail to some look out point without a drop for days. To me. The pace, the humane time for peoples' quirks, all of it. It demands attention and the opposite of quick or instant story gratification. Modern novel writing and especially commercial best seller, now- it is nearly the antithesis of this kind of story tell Luscious Elizabeth Goudge writing from the middle of the last century. It is like a cold drink of water after hours of bicycling in 90 plus degree heat- or after trudging up a desert trail to some look out point without a drop for days. To me. The pace, the humane time for peoples' quirks, all of it. It demands attention and the opposite of quick or instant story gratification. Modern novel writing and especially commercial best seller, now- it is nearly the antithesis of this kind of story telling. Here is mid 20th Century with no revisionist 2000 plus character sensibilities. Yum, yum, yum. But nothing is more refreshing to me than being sunk within the structures of Goudge's peoples' English lives. The values and the high standards of citizens within a Goudge story- especially of this time period! This one is the Eliots right after WWII, when they were very tired. For good reason. And she gets the inner core of each individual, the thought patterns, and the world perception SO intimately. And does it kindly, even within and despite extremely unkind conditions or plot events. Excellent mistress of fiction and is she missed. This book took me a little longer to get through - it's a very contemplative, thoughtful, deep, speak-to-your-soul novel. It's not the plot that makes it a 5 star, rewarding read because there's not a whole lot to it; it's Goudge's depth of writing. She takes her time in developing her story, her characters, and the ideas that she wants to convey. To me, this story is about the home - a place of refuge, of beauty, of inspiration, of acceptance, of growth, of solace. It speaks of slowing down, ap This book took me a little longer to get through - it's a very contemplative, thoughtful, deep, speak-to-your-soul novel. It's not the plot that makes it a 5 star, rewarding read because there's not a whole lot to it; it's Goudge's depth of writing. She takes her time in developing her story, her characters, and the ideas that she wants to convey. A story about a family battered by the war, whose move to a country home brings healing to their various stresses and strains. The home had previously functioned as an inn for pilgrims in medieval times, and the spirit of warmth and comfort is felt by all who enter. The main characters are a husband and wife and their five children, another couple, a famous painter and his adult daughter, and an actor who is a relative of the first family. Goudge does an excellent job of creating characters and A story about a family battered by the war, whose move to a country home brings healing to their various stresses and strains. The home had previously functioned as an inn for pilgrims in medieval times, and the spirit of warmth and comfort is felt by all who enter. The main characters are a husband and wife and their five children, another couple, a famous painter and his adult daughter, and an actor who is a relative of the first family. Goudge does an excellent job of creating characters and describing not only their personalities and interactions but how they grow and change. I rarely reread books, but I could read this one over and over. It is the life-affirming, slightly mystical, and God-infused story of a family that falls in love with an ancient English inn. I love that the characters are real people with real problems, not saints. If you're tired of dark, despairing books that tell you that life is futile, read this one to uplift your spirit. I also recommend all other titles by Elizabeth Goudge. I've read this book every few years since I was a tween. It was a gift to my mother from a friend she met at Girl Scout camp - the inscription is from 1960. If you're looking for a story with many scenes of pleasant English nature, lots of jam, and a few heavy-handed morals, this is the book for you. That makes it sound horrible, but it's very nice. I've read this book almost every year for the past 20 years and still get warm and fuzzy when reading it! Something about E. Goudge's books speak to me. I want to be part of the family! She can describe old houses and children like no one else. One of my favourite Elizabeth Goudge books. Lovely, literate, caring, but not easy Christian fiction is what this is. There is romance and happiness, but also a great deal of pain and sorrow. And I would write more, but there's a kitten chewing on my arm! I wish I could give this more than five stars. Great book! Wish that I had read the trilogy in order! Begin with "The Bird in the Tree" for a complete picture. Wonderful book. One of my favorites. I was excited to find a beautiful hardcover edition of this book at a used book store. When I first started reading it, I was mesmerized and expected it to be a five-star read for me. But while I never lost interest, I did at one point think there had to be more to the story than what I was reading, and I then discovered that this was book two of a trilogy. My mistake! Not that the book didn't stand up on its own. But I am looking forward to reading the first book of the series, The Bird in the I was excited to find a beautiful hardcover edition of this book at a used book store. When I first started reading it, I was mesmerized and expected it to be a five-star read for me. But while I never lost interest, I did at one point think there had to be more to the story than what I was reading, and I then discovered that this was book two of a trilogy. My mistake! Not that the book didn't stand up on its own. But I am looking forward to reading the first book of the series, The Bird in the Tree, and I will see what I think then. What a gem of a book. You can't rush this one, you have to slow down and savour it. My only complaint is that I need a novel about each and every character in it as they are so beautifully drawn. My copy is titled “The Herb of Grace” which is the name of the Pilgrims inn - a good story, relaxing to read. Elizabeth Goudge was an English author of novels, short stories and children's books. Elizabeth de Beauchamp Goudge was born on 24 April 1900 in the cathedral city of Wells, she moved with her family to Ely when her father, a clergyman, was transferred there. When her father, Henry Leighton Goudge, was made Regius Professor of Divinity at Oxford, the family left Ely and went to Christ Church, Oxfor Elizabeth Goudge was an English author of novels, short stories and children's books. Elizabeth de Beauchamp Goudge was born on 24 April 1900 in the cathedral city of Wells, she moved with her family to Ely when her father, a clergyman, was transferred there. When her father, Henry Leighton Goudge, was made Regius Professor of Divinity at Oxford, the family left Ely and went to Christ Church, Oxford. Goudge's first book, The Fairies' Baby and Other Stories (1919), was a failure and it was several years before she authored Island Magic (1934), which is based on Channel Island stories, many of which she had learned from her mother, who was from Guernsey. Goudge was awarded the Carnegie Medal for The Little White Horse (1946), the book which J. K. Rowling, author of the Harry Potter stories, has said was her favorite as a child. The television mini-series Moonacre was based on The Little White Horse. Her Green Dolphin Country (1944) was made into a film (under its American title, Green Dolphin Street) which won the Academy Award for Special Effects in 1948. “John Adair had little liking for the simple life; he said it was not simple, but the most damnably complicated method of wasting time that had every existed. He liked a constant supply of hot water, a refrigerator, an elevator, an electric toaster, a telephone beside his bed, central heating and electric fires, and anything whatever that reduced the time spent upon the practical side of living to a minimum and left him free to paint.